Vice Chancellor of South Africa’s University of KwaZulu-Natal, Dr Albert S. van Jaarsveld, has been appointed as Director General and CEO of the International Institute for Applied Systems Analysis (IIASA). 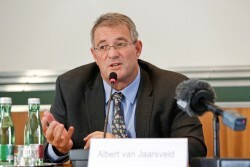 Dr. Albert van Jaarsveld has become the eleventh Director General of IIASA on 1 October 2018. 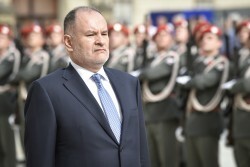 He succeeds outgoing Director General Professor Pavel Kabat who became the first Chief Scientist of the United Nation’s World Meteorological Organization (WMO). The new Jordanian Ambassador to Austria and to the international organizations in Vienna, H.E. 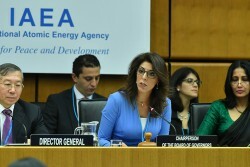 Mrs. Leena Al-Hadid, who recently presented Austrian Federal President Alexander Van der Bellen with her letter of accreditation at the Vienna Hofburg, was also elected this week by the IAEA Board of Governors as the Chairperson of the IAEA's Board of Governors for 2018-2019. From now on the Wiener Wiesn welcomes you on the festival site on the Kaiserwiese in the Vienna Prater. The Wiener Wiesn Festival is one of Austria's largest traditional and folk music festivals. It has been held annually since 2011. 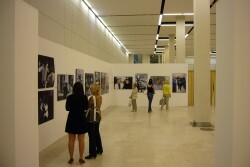 During 18 days until 14 October, the event offers numerous highlights for visitors. The party is for young and old. The focus will be on Austrian customs and traditions, Austrian cuisine and folk music. A good opportunity to get to know Austrian customs, timeless traditions and an original sociability, lived by cheerful people with a colourful variety of dialects. Put on your dirndl or leather trousers and celebrate in lovingly decorated tents, cosy pub gardens, rustic alpine huts and in the atmospheric Wiesndorf. 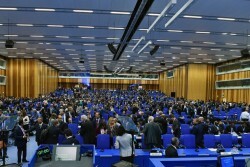 Nearly 2,600 participants attended this year’s event at VIC Vienna International Centre, including delegates from 153 of the IAEA’s 170 Member States, international organizations, non-governmental organizations and the media. By the end of the 62nd IAEA General Conference, 91 Member States have pledged to the Technical Cooperation Fund for 2019. While not all Member States use the opportunity of the General Conference to pledge their contribution, a pledge by so many countries – over 53% of all IAEA Member States – represents a record. The total Technical Cooperation Fund Target for 2019 is 86.2 million euros. 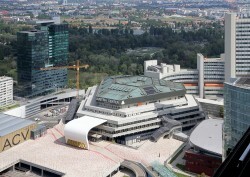 Last year, Austria’s largest congress centre brought more than 100,000 international participants to Vienna for the first time. 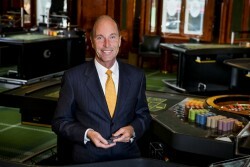 The venue also once again exceeded the record revenue figure from the previous year. According to information in the daily newspapers "Die Presse" and "Der Standard" on the sidelines of the UN General Assembly in New York, Israel plans to lift its ban on contacts with Austrian Foreign Minister Karin Kneissl. Netanyahu ordered Israeli authorities in December 2017 to refrain from contacts with FPÖ ministers. 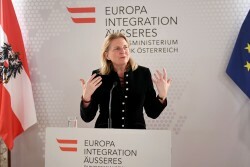 Although Kneissl is not a party member, she has been nominated by the Austrian Freedom Party FPÖ. However, the official Israeli contact ban will continue to apply to FPÖ government members. The Macedonians will decide next Sunday on a bilateral agreement between Athens and Skopje, which can pave the way for the former Yugoslav republic of Macedonia to NATO and EU membership. 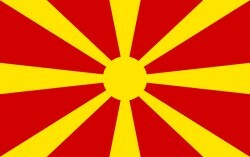 Greece, which claims the name Macedonia for its northern region, should be made satisfied with "North Macedonia". The Macedonian foreign voters can vote for the referendum at the diplomatic representations of their country (diplomatic representations in Austria see below). Voters will be asked "Do you support EU and NATO membership by accepting the agreement between Republic of Macedonia and Republic of Greece?" The former cultural manager, who was brought back into politics by Chancellor Christian Kern, will accompany the new party leader, Pamela Rendi-Wagner, as Federal Managing Director of the Social Democratic Party (SPÖ). 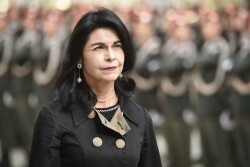 Pamela Rendi-Wagner, former Minister of Health and Women's Affairs, was nominated new party leader by the SPÖ party executive. This is the first time that a woman has assumed the position of SPÖ chairman. Andreas Schieder made room for Rendi Wagner, Thomas Drozda takes over the federal management from Max Lercher. Who is Rendi-Wagner and what will she do? 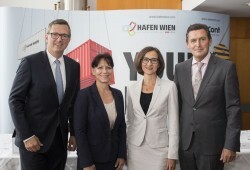 The opposition criticises the e-mail from Interior Minister Herbert Kickl (ÖVP), which is referred to as a "Gleichschaltungs" e-mail and would be a direct attack on democracy, freedom of opinion and freedom of the press. 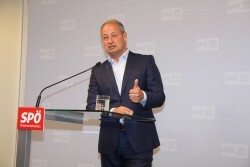 In the course of the crisis and the restructuring of the Austrian Social Democrats (SPÖ), Mr. Andreas Schieder has thrown in the towel by resigning today as club chairman. According to the Ministry of the Interior, the state expenses for the large police contingent for the security of Russian President Vladimir Putin at Kneissl's wedding in August amounted to almost 222,750 euros. 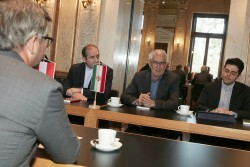 Austria's EU Presidency, the future of the nuclear agreement and the desire to strengthen bilateral economic and cultural exchange were the focus of a visit by Iranian parliamentarians to the Austrian Parliament. The Austrian National Library is the largest library in Austria, with more than 12 million items in its various collections. The library, one of the country’s most venerable cultural and academic institutions, is currently celebrating its 650th anniversary. 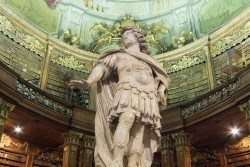 During the Austrian Empire, from 1867 in the Austrian-Hungarian Empire, the library was one of the most comprehensive universal libraries in the world when it was named the Vienna Court Library until the end of the First World War. Claude Monet (1840–1926) stands like no other painter for the impressionist style, and as the French “Master of Light”, he was also a central pioneer of 20th-century painting. 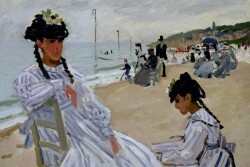 The Albertina is devoting a large monographic exhibition to Claude Monet’s treatment of color, which has seen little examination to date, as well as to the painter’s passionate fascination with the world of plants and water in the garden of his country home in Giverny. The International Day of Peace ("Peace Day") is observed around the world each year on 21 September. Established in 1981 by unanimous United Nations resolution, Peace Day provides a globally shared date for all humanity to commit to peace above all differences and to contribute to building a Culture of Peace. This year's Peace Day celebrates the 70th anniversary of the Universal Declaration of Human Rights. 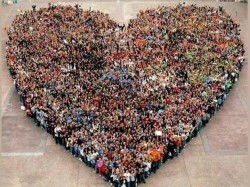 Join with people from the international community in Vienna by observing the International Day of Peace! 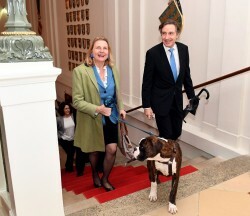 The new Ambassador of Hungary to Austria, H.E. Mr. Andor Nagy presented Austrian Federal President Alexander Van der Bellen with his letter of accreditation at the Vienna Hofburg. Expats in Austria: "You will never be able to make local friends"
We would like to share with you some of the findings of the Expat Network InterNations on the well-being of expats in Austria. Although these differ in some respects considerably from other annual reports, they also contain survey results which are a common thread in most studies. 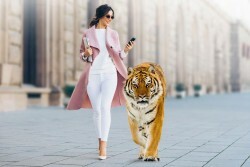 These include the fact that the quality of life is perceived as very high, but on the other hand intercultural communication and establishing friendships is perceived as very difficult. 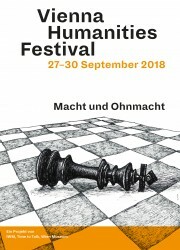 Austria's European Heritage Day - Join Them! Take a closer look at the culture of your host country and take part in the Austrian edition of European Heritage Day 2018. 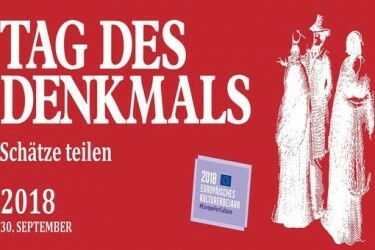 On "Tag des Denkmals (Monument Day)", the Federal Monuments Office invites you on a cultural-historical journey through Austria's monument landscape: numerous listed objects open their doors free of charge, special programme items and guided tours provide a very special view of Austria's cultural heritage and enable you to experience monument protection and preservation. 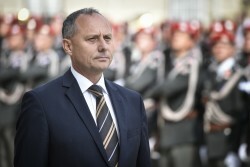 The new Ambassador of the Hashemite Kingdom of Jordan to Austria, H.E. Mrs. Leena Al-Hadid presented Austrian Federal President Alexander Van der Bellen with her letter of accreditation at the Vienna Hofburg. 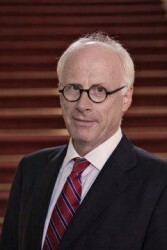 The new Ambassador of the Kingdom of Denmark to Austria, H.E. Mr. René Dinesen presented Austrian Federal President Alexander Van der Bellen with his letter of accreditation at the Vienna Hofburg. 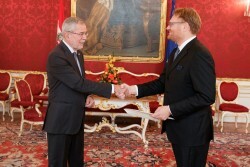 The new Ambassador of the Republic of Estonia to Austria, H.E. Mr. Toomas Kukk presented Austrian Federal President Alexander Van der Bellen with his letter of accreditation at the Vienna Hofburg. 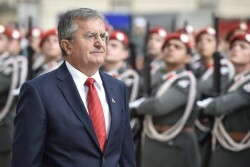 The new Ambassador of the Republic of Chile to Austria, H.E. 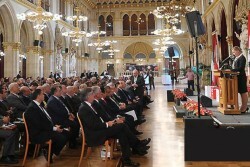 Mrs. Gloria Navarrete Pinto presented Austrian Federal President Alexander Van der Bellen with her letter of accreditation at the Vienna Hofburg. 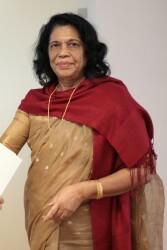 The new Ambassador of the Republic of Colombia to Austria, H.E. Mr. Miguel Camilo Ruiz Blanco presented Austrian Federal President Alexander Van der Bellen with his letter of accreditation at the Vienna Hofburg. 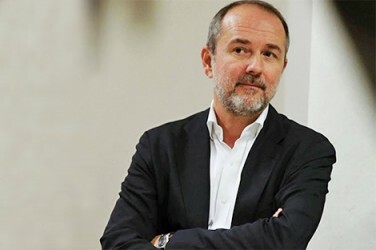 The new Ambassador of the Republic of Serbia to Austria, H.E. Mr. Nebojša Rodic presented Austrian Federal President Alexander Van der Bellen with his letter of accreditation at the Vienna Hofburg. 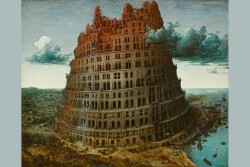 An exhibition at the Kunsthistorisches Museum Vienna commemorates the 450th anniversary of Pieter Bruegel's death. The museum is dedicating the world’s first ever major monograph exhibition to the artist widely regarded as the 16th century’s greatest Netherlandish painter. Bringing together over 90 works by the master, the overview of Bruegel’s entire oeuvre is set to be nothing short of sensational. The Embassy and Permanent Mission of Nepal in Vienna's 4th district was opened in November 2017. In addition to serving as the residential Embassy of Nepal to the Republic of Austria, it is also concurrently accredited to Albania, Bosnia Herzegovina, Croatia, Macedonia, Montenegro and Slovenia. Nepal's Foreign Minister Pradeep Kumar Gyawali paid a working visit to Austria. The visit focused on bilateral relations and the opening of the embassy in November last year. 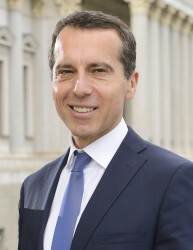 After initial rumours about a stepping down from politics, Christian Kern (SPÖ) announced in the evening that he plans to give up his party chairmanship and instead intends to run in the European Parliament elections as the leading candidate of the SPÖ. "He leaves as party leader, but remains loyal to politics." Representatives from the IAEA’s Member States, including at ministerial level and above, are convening at the 62nd IAEA General Conference in Vienna this week to discuss key elements of the Agency’s priorities in its work on the peaceful use of nuclear technologies. This year’s Vienna International Model United Nations (VIMUN) drew over 200 participants from all over the world to debate current issues in a simulation of United Nations meetings. 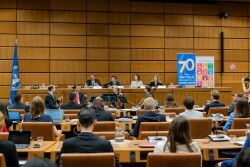 The participants aged between 18 and 35 had the opportunity to not only act like real UN delegates but to contribute in an authentic setting at the UN Headquarters in Vienna. 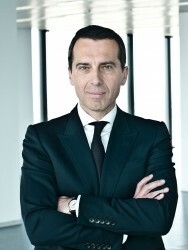 According to the daily newspaper "Die Presse", SPÖ boss Christian Kern is about to resign and will announce his resignation later tonight. 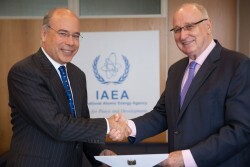 The new Ambassador of Peru to Austria and Permanent Representative to the International Organizations in Vienna, Eric Anderson Machado, presented his credentials to the Director-General of the United Nations Office at Vienna (UNOV), Yury Fedotov and to Aldo Malavasi, IAEA Acting Director General, and Head of the Department of Nuclear Sciences and Applications at the IAEA. His presentation to Austrian Federal President Van der Bellen is still on the agenda. The members of the Expert Council on Integration presented the results of the Integration Report 2018. 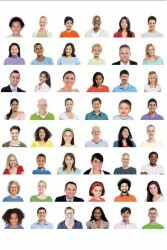 The Integration Report provides a comprehensive overview of integration in Austria. Austria's number of asylum applications in 2017 remained high compared to other EU countries. With 2.8 asylum applications per 1,000 inhabitants, Austria ranks 5th among all EU member states in proportion to its population. Ambassador Ghislain D’Hoop is officially the new Permanent Representative of Belgium to the international organizations in Vienna. 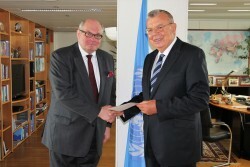 He already presented his credentials to the Director-General of the United Nations Office at Vienna (UNOV), Yury Fedotov, to the Deputy Director-General of the IAEA, Aldo Malavasi, to the General Secretary of the CTBTO, Lassina Zerbo and to Austrian President Alexander Van der Bellen. 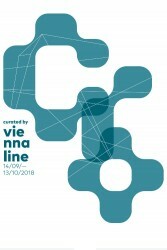 From 27 to 30 September 2018, viennacontemporary will gather 118 galleries and institutions from 27 countries under the roof of the historic Marx Halle in Vienna. As the only art fair that unites East and West in carefully curated exhibitions, the event stands out as a place of exciting new discoveries. 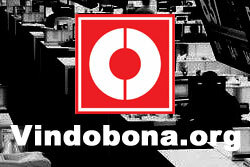 This year the gallery festival "curated by" will take place for the tenth time. Vienna's leading galleries for contemporary art invite internationally active curators to organize exhibitions in their venues. The conference is the first event of the Future of Europe Task Force meetings, which are to be held in Austria and Romania during their respective Presidency in the Council of the EU. The gathering seeks solutions and encourages action to face the upcoming challenges both to the European Union and to the regions of Central and South East Europe. 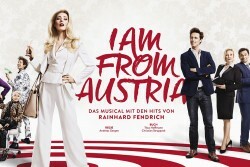 "I am from Austria" and "Dance of the Vampires (Tanz der Vampire)" have a booked capacity of almost 100%. 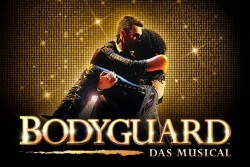 In total, more than half a million visitors attended the two shows.